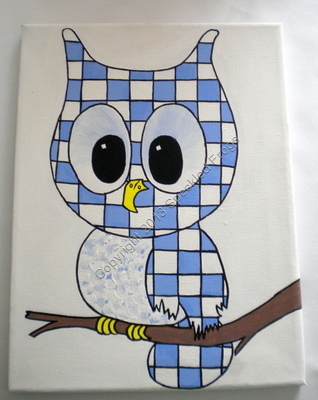 Little Toots the Owl in Blue. Acrylic painting on block canvas. Size 9 inches x 12 inches approx.